Joining a canopy tour is a memorable adventure for travelers who are looking for a distinctive vacation in Malaysia. A truly magnificent way of exploring a rainforest, canopy tour offers amazing views as you walk across the towering platform from tree to tree. Allowing you to discover a tropical rainforest without having to disturb it in any way, a canopy tour allows you to enjoy a perfect untouched nature. With a significant amount of landmass in Malaysia covered with lush green rainforests, the best way to explore the nature at its pristine is via a canopy tour. The perfect way to wildlife watching or bird watching, such adventure tour offers you the chance to see some of the rare animals that can only be found in a tropical rainforest. 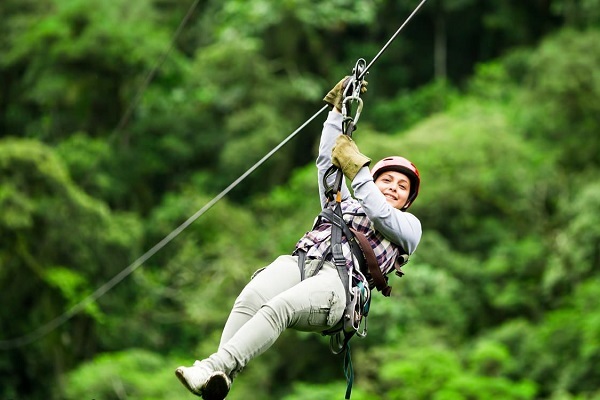 Canopy tour not only allows you to enjoy the nature at its best, it is also a great way to preserve the forest without disturbing its ecosystem. 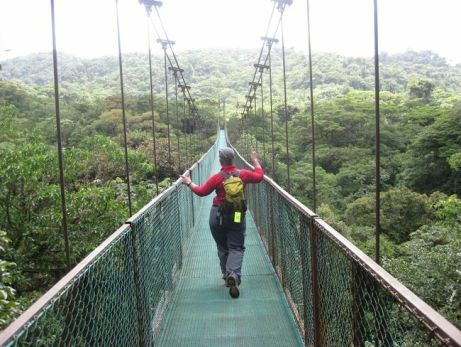 Although most of the nature enthusiasts still prefer to explore the rainforests via hiking tours, canopy tour is even better as it offers you a bird eye view over the undisturbed natural environment. In addition, the dense floras in the rainforest can create a dark environment and thus making it challenging to discover everything clearly. There are quite a number of places that offer spectacular canopy touring opportunities in Malaysia. 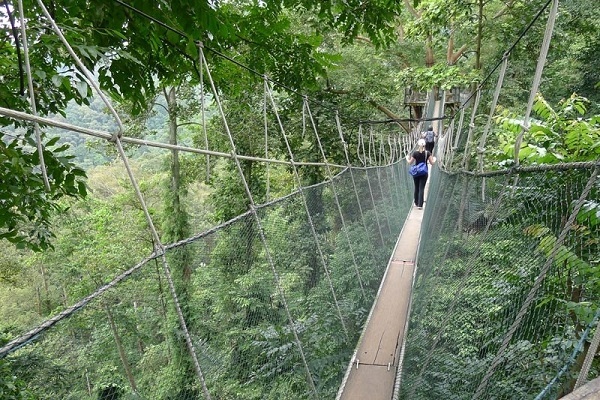 In Pahang, Taman Negara National Park is a perfect place for canopy walk, the platform is built at 30 feet above the ground and visitors will get a magnificent view over the surrounding rainforest while listen to the buzzing sound from the nearby animals. Located in Kepong, FRIM (Forest Research Institute of Malaysia) is a wonderful forest science park covering more than 600ha of reforested areas and experimental plants. Visitors to FRIM not only able to experience the canopy walk, there are also jungle trails, herb garden, museum and library displaying numerous wood species found in a tropical forest waiting to be discovered. For visitors touring around Sabah, the Tree Top Canopy Walkway offered by Borneo Rainforest lodge is simply spectacular. With several sturdy viewing platforms, walkway stands at 26m above the ground and spreading 300m in length, the walkway is designed and built to be nature friendly that allows nature lovers to stay up close with the nature and enjoy the magnificent 130 million years old unspoiled forest’s canopy at the same time. Depending on the type of adventurous experience you are looking for, there are many canopy tours can be found across the country. Such tour will normally covers for your transportation and all meals throughout the trip. If you are looking for overnight tour, accommodation will also be pre arranged by the operator as part of the package. When finding for canopy tour, it is always best to engage with experience tour operators who own valid license and proven safety record. Before the tour, make sure to get all relevant safety information and wear all the necessary safety equipments given by the operator. With all the preparation in place, you can expect for a fun and exciting adventurous tour in Malaysia.